Designed to be used with any standard Nebulizer kit. Made from a soft clear plastic and are anatomically formed for comfort. 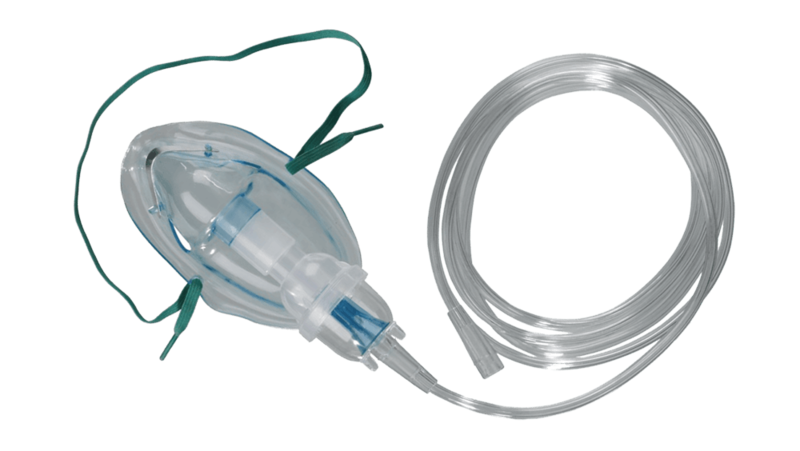 Designed to be used with any standard Nebulizer kit. Made from a soft clear plastic and are anatomically formed for comfort. Latex – Free. It has an Elastic Strap for a d d e d c o m f o r t . Each Mask is individually sealed and wrapped for safety.